The children giving their dad the tightest hugs. 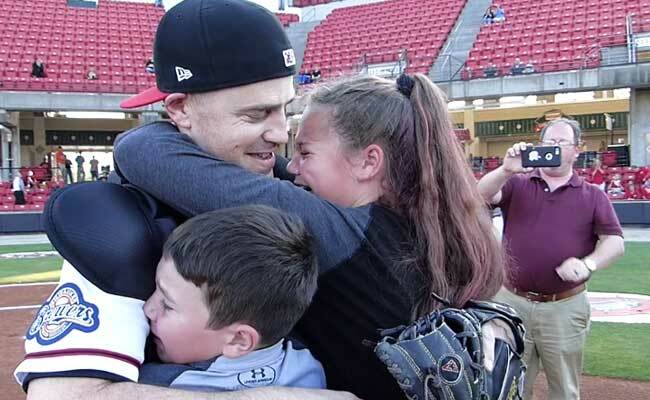 NEW DELHI: A heartwarming video that's making millions of people both smile and tear up shows a dad surprising his children at a baseball game after returning home from a six-month deployment. The wonderful video has been shared on Facebook by Carolina Mudcats Baseball Club, a minor league baseball team. It has amassed over 3.1 million views since being shared on April 27. The video shows two children throwing the first pitch at a game. Little do they know, the player on the opposite side, dressed as a catcher, is actually their dad Technical Sergeant Lance Daigle of the US Air Force. Once the first pitch is done with, the children walk up to the catcher, who slowly takes his helmet off. That's when the kids realise it's their dad. Both children, completely overwhelmed, give their dad the tightest hugs and soon breakdown. It's truly a touching moment that has been captured on video for eternity. 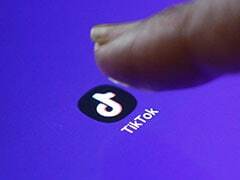 Along with the millions of views, the video has also collected over 34,000 shares and more than 29,000 reactions on Facebook. "OMG I love this stuff, totally crying," says one commenter on the video. "That was beautiful," says another.